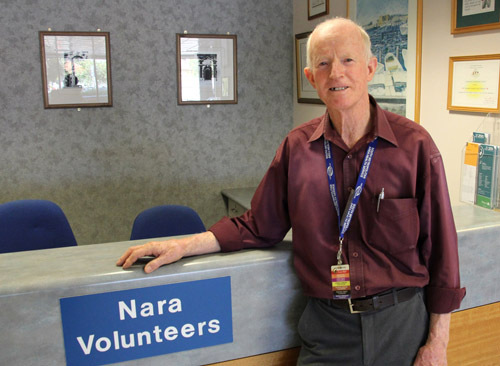 The Fremantle Hospital Nara Volunteers’ motto is “We are here to help”. Nara is an Aboriginal word meaning companion. distributing hospital pamphlets and information.